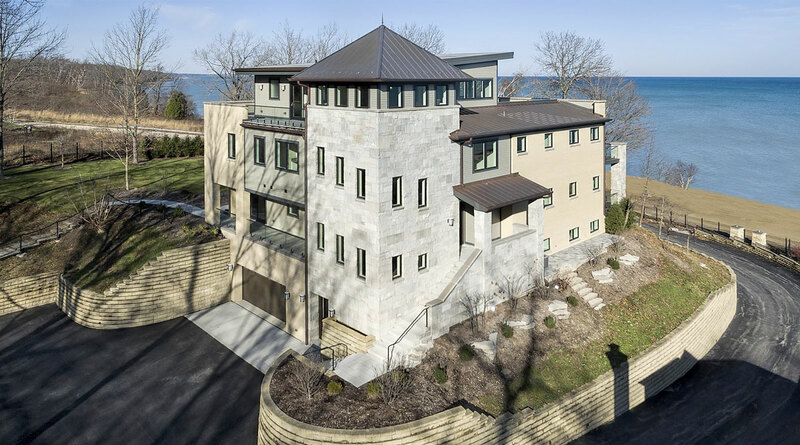 This new construction lakefront home exemplifies modern luxury living at its finest. Built on the site of the original 1893 Ft. Sheridan Pumping Station, this 4 bedroom, 6 full & 1 half bath home is a dream for any entertainer. Picturesque views of Lake Michigan from every level plus several outdoor spaces where you can enjoy this magnificent setting. The 1st level features an Abruzzo custom chef’s kitchen opening to a double height great room with floor to ceiling windows, formal dining room with wet bar, private office with full bath & large outdoor deck. The 2nd level has a serene master suite with private terrace & spa like bathroom. 3 add bedrooms, 2 full baths plus laundry room. The 3rd level has a large recreation space complete with wet bar & access to another outdoor terrace with fireplace. 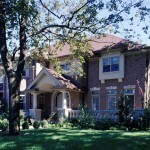 The lower level features a private wine cellar, media room & 7 car heated garage. Only the finest finishes & materials are used throughout. A rare opportunity.